b) People who aren't on Facebook don't miss out, because they can go straight to the main Flixter page. Similarly, my data isn't being "held hostage" by a particular application, and I'm confident that it won't suddenly disappear. c) There's a social aspect, where I can easily see what my friends thought of a particular film (rather than manually cross-referencing several different websites). d) Each film is treated as its own entity; there's no distinction between the cinema release and the DVD. By contrast, Amazon will let you add reviews for particular DVDs, but each edition is treated separately. Similarly, all the data is on one site, rather than being separated out by country (you don't see reviews from Amazon.com if you're looking at Amazon.co.uk). e) The site itself has a clear goal: it's a way to track what I've seen, not what I own. (I use DVD Profiler to keep an inventory of my DVDs, and I don't use that to store any reviews.) So, it does one thing, and it does it well. I can still post film reviews here, and to my main website, particularly if I have a lot to say about them, but even in those cases I'll still put a rating and a "capsule" review on Flixter. Bearing all of that in mind, I'd like to do something similar for book reviews, but I'm having trouble finding the best solution for that, so comments are welcome. I recently heard about BookRabbit, after Steve Lamb linked to Steve Clayton's post BookRabbit – Facebook For Your Bookshelf. (There's also a Telegraph article about it.) Both Steves seemed keen on the site, and it sounds like the type of thing I'm after. According to CrunchBase, "BookRabbit is aimed at the 'heavy' book buyer (someone who buys more than four books a year)." So, that puts me in the target audience. Unfortunately, the reality doesn't live up to the hype. The idea is that you take a photo of your bookshelf, then draw boxes around each book (or rather its spine), and people can click on the book to see more details about it. However, I found these blue boxes quite distracting, so they make the photos look ugly. Also, I don't just have a shelf of books; I have 37, spread across 6 bookcases. You can add multiple shelves to your profile, but I don't see any way of linking them together, e.g. saying "These six shelves are all in the same bookcase." More importantly, what happens if I buy a new book? For instance, my novels are sorted by author, then by title/series. So, suppose that I buy another novel by Lois Bujold; in order to make room for that on the top shelf, I'll have to take the right-most book off, and move it down to the shelf below. That will have a domino effect, so all of the lower shelves will change slightly. If I just have a list of titles in a database, it's easy to add an extra one, but it would be a lot more hassle to retake all the photos, and then draw all the boxes again, linking each one to the relevant title. The more often you buy new books, the more hassle this will be; given that the purpose of the site is to sell books, it seems like a pretty bad idea to drive away their best potential customers! Also, it's focussing on what you own rather than what you've read (e.g. library books). So, no cookie for them. Amazon is another option, and I do check reviews there before I buy new books, but as I mentioned above they have two main drawbacks. Firstly, they're country-specific. Secondly, they treat each edition of a book separately, so that leads to the bizarre situation where they say "Ah, you bought the Harry Potter novels in hardback, so we recommend the Harry Potter novels in paperback". Similarly, if you have an omnibus of several books, there's no direct way to see what people thought of those individual books; you have to search separately for them. There are some situations where I'd want to treat the editions separately, mainly for computer textbooks where the words are changed significantly (e.g. Tanenbaum's "Computer Networks"). However, for the most part I'd just like to comment on the actual contents of the book; if necessary I can always throw in an extra line saying something like "I prefer the cover illustration on the adult editions of the Harry Potter books". Also, if there are hundreds of reviews for a particular book, there's no way to isolate the ones from people you actually know. So, Amazon isn't ideal either. Then there's LibraryThing. I signed up for this a year or so ago, with a slightly different goal in mind; at that point, I was trying to share a list of all the books I own, so that people could look through it and tell me if they want to borrow anything. You can see a partial list of my books here. The reason it's partial is that they limit you to 200 with a free account, and I have over 700. I could go for a paid account, either paying annually or getting a lifetime membership, and then I'd be able to add as many books as I like. The thing is, I'm reluctant to commit to a lifetime membership before I've tried it out properly, but if I pay for a year then add all my books, I'd presumably lose all that work if I decide not to renew the membership at the end of the year. So, I really need to decide right at the start whether to buy life membership; in fairness, they suggest $25 (about £13), so that's not a huge amount of money. There are certainly some points in favour of LibraryThing. Firstly, I have a couple of friends on there, and I was quite impressed when it said "Here are the 14 books that you share with sulkyblue" (i.e. the books that we've both listed). So, that's good for the social aspect, although my friends' reviews don't get priority over anyone else's. Secondly, when you add a book, you choose the specific edition that you've read (or bought), but all the editions are linked together, so comments and metadata (e.g. author) apply to the book itself. I think that's a good approach, although it's not perfect, e.g. if I borrowed one edition from the library and liked it enough to buy a different edition later. I'm also concerned that there's a bit of overlap between "what I own" and "what I've read". It looks as if tagging is the answer to that (own and borrowed), although I'd prefer a more rigid system, e.g. a checkbox to say "Do you own this?" This is related to the UnSuggester, which Neil Gaiman wrote about in December 2006. "It analyzes the twenty-seven million books LibraryThing members have recorded as owned or read, and comes back with books least likely to share a library with the book you suggest." This seems a bit odd to me, since if I've borrowed a book and hated it then I'll have to add it to my "library" in order to rate/review it. Still, they could modify the functionality later on, once they've gathered more data. This just leaves the question of a Facebook link. There are some unofficial applications, e.g. My LibraryThing, but I don't know how good they are. There's no official application, which is apparently deliberate, because they're worried about how much traffic it would generate (akin to "the Slashdot effect"). 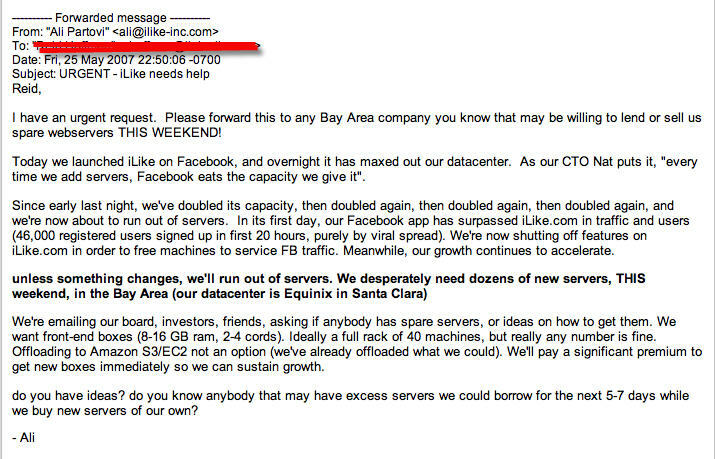 There's a letter from the iLike developers which describes their problems with this, being a victim of their own success; the key point is that 3rd party applications are hosted on the 3rd party servers, not on the main Facebook servers. What I'm really looking for is just a way to link to the main website, so that people can go there to read the review, ideally without having to install the application on their own profile. I see that Facebook will let you add arbitrary links to your mini-feed (although I'm not quite sure how you do it), and LibraryThing let you link to a particular person's review of a particular book (something Flixter is less good at), so I can work around this limitation. Finally, there's Visual Bookshelf. I came across this article: LibraryThing vs. Visual Bookshelf, which is quite an interesting comparison between the two. That guy comes down in favour of Visual Bookshelf, on the grounds that it works much better in Facebook. I haven't tried that, but he may be right. On the other hand, I know two people using LibraryThing and only one person using Visual Bookshelf, so that's a vote in favour of LibraryThing. Also, Visual Bookshelf can only be accessed inside Facebook (so far), so it's no good for people who aren't on there. I think it looks like a nice application, and if lots of my friends start using it then I'll re-consider it, but for now I'll give it a miss. Edit: I've now tried out Visual Bookshelf, and my thoughts are here. Overall, I'm leaning towards LibraryThing, but I'm open to other suggestions. John - Great summary and it's encouraging to hear you've tried so many book cataloging and sharing services. I wanted to give you a small update on the Visual Bookshelf piece. Visual Bookshelf is a part of ReadingSocial, which allows you to access your collection outside of Facebook. You simply need to register for a ReadingSocial account and can choose "settings" to link your Facebook, MySpace, or other social network account. Please feel free to check it out! Thanks for your comment - I'm impressed by your enthusiasm, so I've now registered with Visual Bookshelf, and I'll try it out for a while to see how it goes.